Somewhere in the world there is a creative genius sitting in a classroom being forced to hold back on creating, and study or do some stupid paper. Despite how successful or far in life this school work might get someone, it’s still not for everyone. Many would say high school is a waste of time; it’s just taking away from what you can be working on to pave your road to success. Aspiring, young designer Fola Omosanya would say high school is where self-esteem, innocence and dreams go to die. Fola Omosanya is an up and coming designer who doesn’t have the biggest portfolio, but a lot in store for the future. 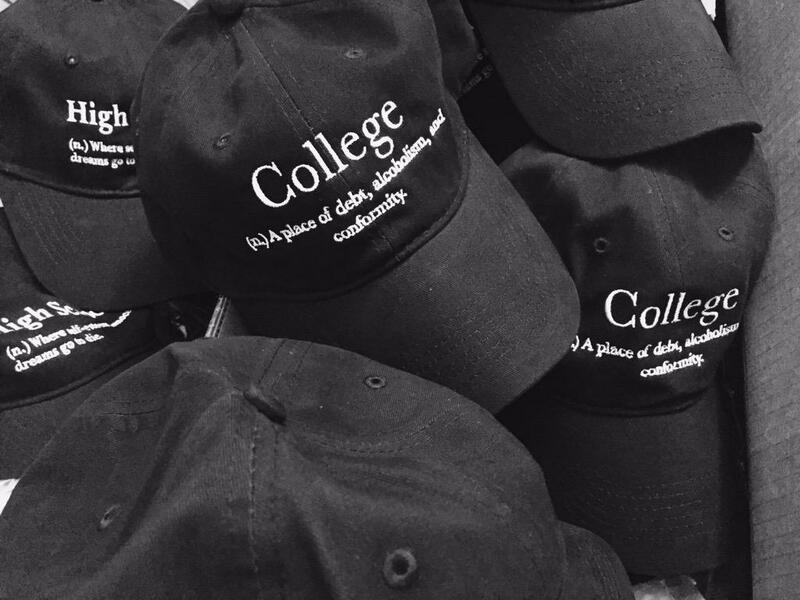 Since 2015 kicked off, the young designer has released two caps, each selling out instantly. Both pieces were related to school and its tendency to marginalize young artists and expose teens to certain things that aren’t always good for them. Basically, this black and white cap packs a powerful message within it. The cap’s simple design makes it one with today’s preferred minimalistic and modern taste. Sometimes the best art is the most meaningful rather than the most colorful. We can expect actual clothing from Fola this Summer. We’ve seen what magic he can conjure up when it comes to headwear, but what can he do with apparel? There’s one thing we can infer: it will surely impact.